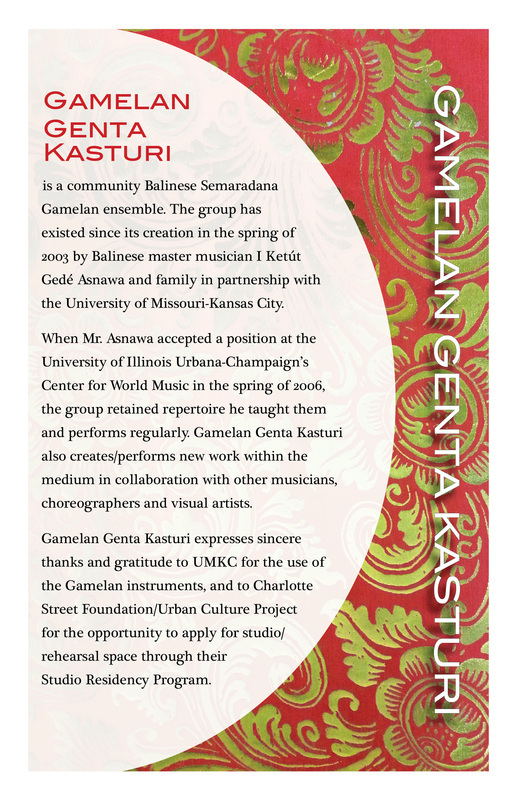 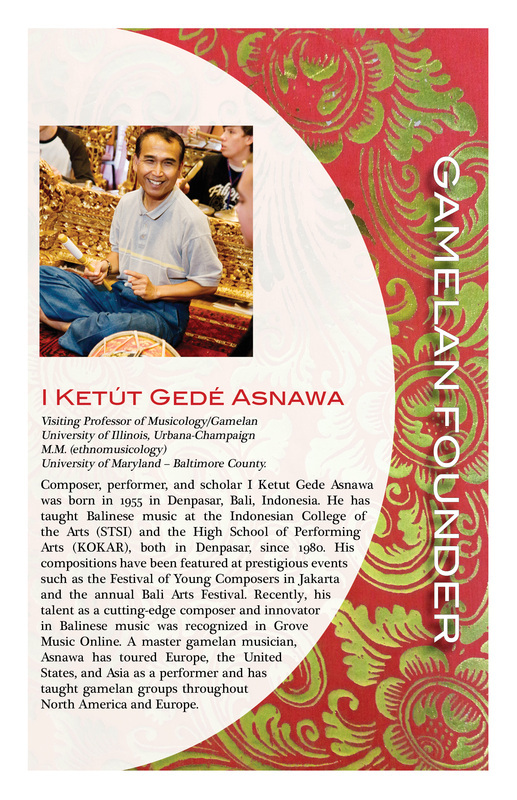 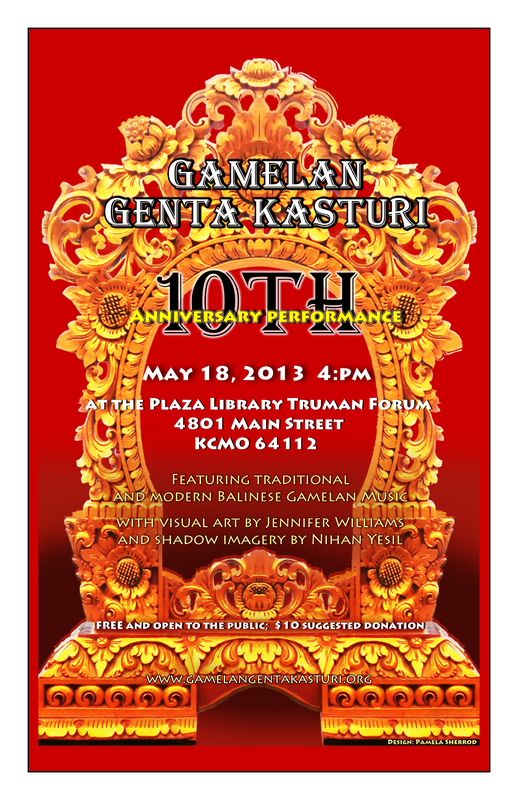 Gamelan Genta Kasturi celebrated our 10th Anniversary with a special concert in the Truman Forum of the Plaza Branch of the Kansas City Public Library at 4pm on Saturday May 18, 2013. 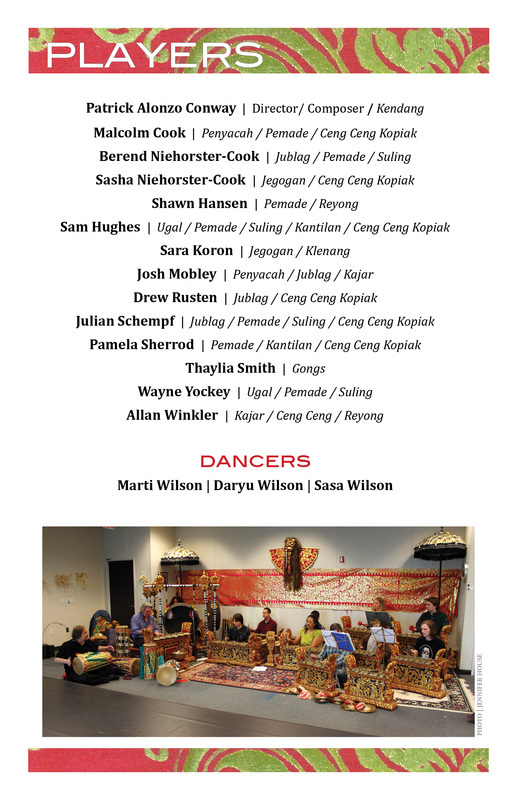 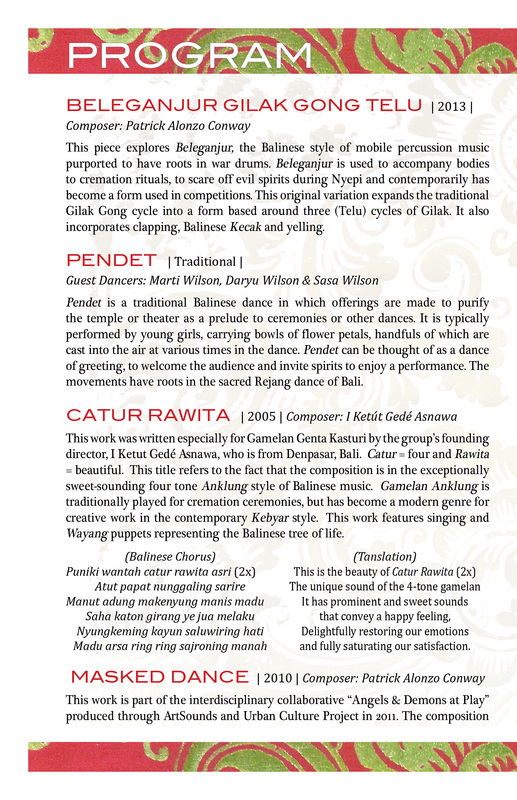 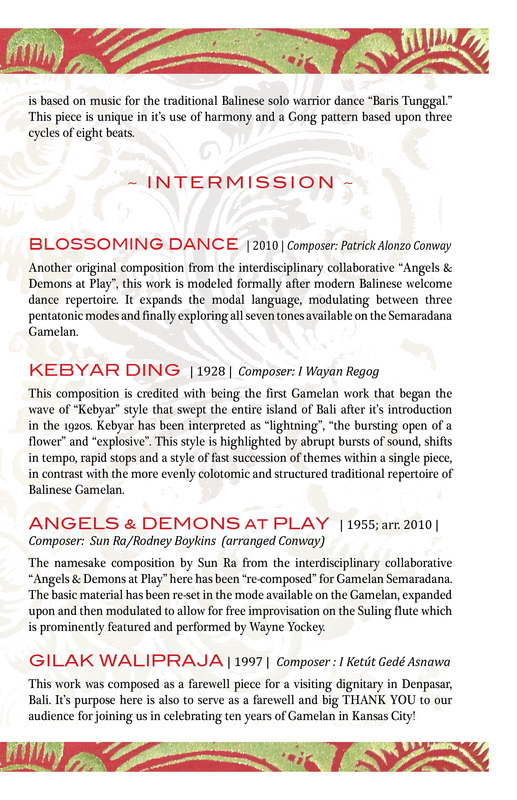 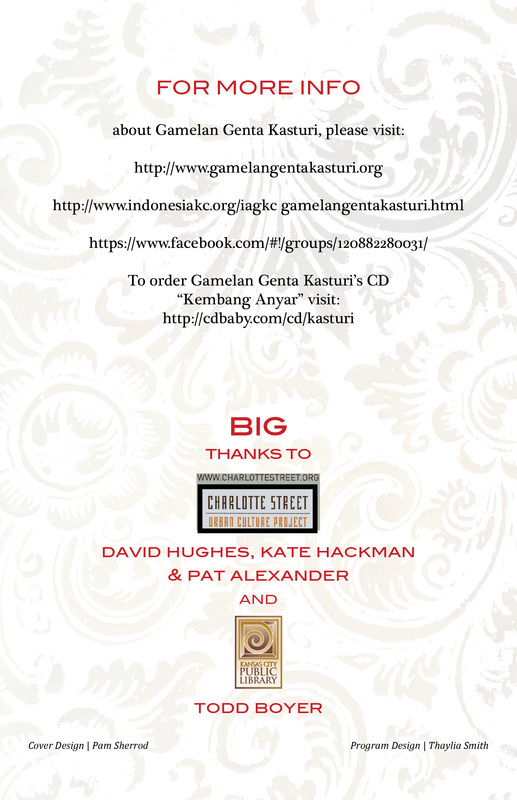 This performance was an overview of material from the group's ten year history and included traditional Balinese repertoire and original compositions by ensemble founder I Ketút Gedé Asnawa and current ensemble director Patrick Alonzo Conway. 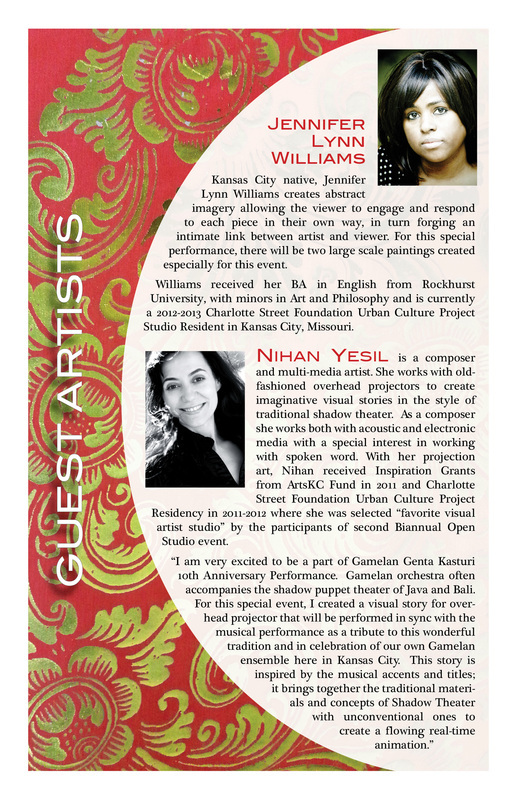 The concert also featured two works by artist Jennifer Williams created especially for the show and shadow imagery by artist Nihan Yesil .